Drake ended his four-night run at Madison Square Garden in New York City last night (August 28), but he certainly wasn't done bringing out surprise guests. Following stops that have seen appearances by Travis Scott and Cardi B, Drizzy brought out none other than Shiggy. If that name doesn't ring a bell, his viral video certainly will. He's the one we have to thank (or blame) for the #InMyFeelingsChallenge. 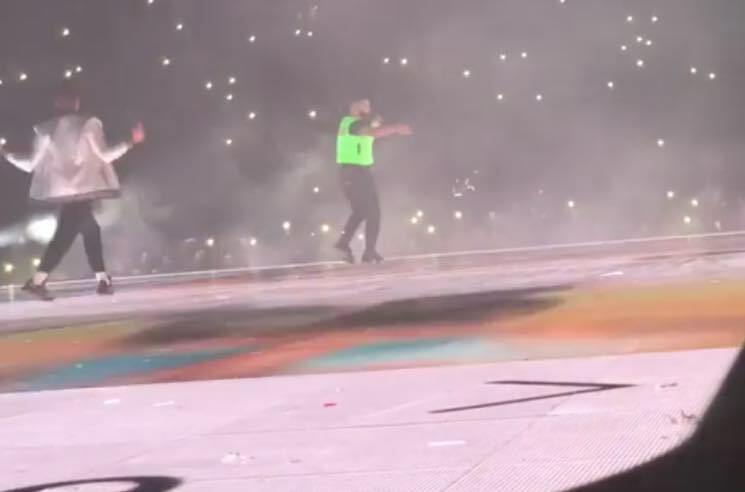 Obviously, Drake brought him out during the song that kickstarted his 15 minutes of fame, letting him steal the spotlight to dance to "In My Feelings." See footage of the cameo below, and check out the remaining dates on the "Aubrey and the Three Migos Tour" here.